Recently, we’ve seen many examples [1–4] of how deep learning techniques can help to increase the accuracy of diagnoses for medical imaging, especially for diabetic eye disease. In “Prediction of Cardiovascular Risk Factors from Retinal Fundus Photographs via Deep Learning,” published in Nature Biomedical Engineering, we show that in addition to detecting eye disease, images of the eye can very accurately predict other indicators of CV health. This discovery is particularly exciting because it suggests we might discover even more ways to diagnose health issues from retinal images. Using deep learning algorithms trained on data from 284,335 patients, we were able to predict CV risk factors from retinal images with surprisingly high accuracy for patients from two independent datasets of 12,026 and 999 patients. For example, our algorithm could distinguish the retinal images of a smoker from that of a non-smoker 71% of the time. In addition, while doctors can typically distinguish between the retinal images of patients with severe high blood pressure and normal patients, our algorithm could go further to predict the systolic blood pressure within 11 mmHg on average for patients overall, including those with and without high blood pressure. 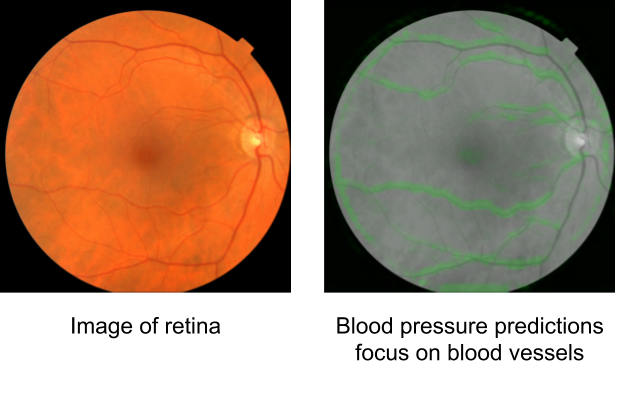 In addition to predicting the various risk factors (age, gender, smoking, blood pressure, etc) from retinal images, our algorithm was fairly accurate at predicting the risk of a CV event directly. Our algorithm used the entire image to quantify the association between the image and the risk of heart attack or stroke. Given the retinal image of one patient who (up to 5 years) later experienced a major CV event (such as a heart attack) and the image of another patient who did not, our algorithm could pick out the patient who had the CV event 70% of the time. This performance approaches the accuracy of other CV risk calculators that require a blood draw to measure cholesterol. More importantly, we opened the “black box” by using attention techniques to look at how the algorithm was making its prediction. These techniques allow us to generate a heatmap that shows which pixels were the most important for a predicting a specific CV risk factor. For example, the algorithm paid more attention to blood vessels for making predictions about blood pressure, as shown in the image above. Explaining how the algorithm is making its prediction gives doctor more confidence in the algorithm itself. In addition, this technique could help generate hypotheses for future scientific investigations into CV risk and the retina. At the broadest level, we are excited about this work because it may represent a new method of scientific discovery. Traditionally, medical discoveries are often made through a sophisticated form of guess and test — making hypotheses from observations and then designing and running experiments to test the hypotheses. However, with medical images, observing and quantifying associations can be difficult because of the wide variety of features, patterns, colors, values and shapes that are present in real images. Our approach uses deep learning to draw connections between changes in the human anatomy and disease, akin to how doctors learn to associate signs and symptoms with the diagnosis of a new disease. This could help scientists generate more targeted hypotheses and drive a wide range of future research. With these promising results, a lot of scientific work remains. Our dataset had many images labeled with smoking status, systolic blood pressure, age, gender and other variables, but it only had a few hundred examples of CV events. We look forward to developing and testing our algorithm on larger and more comprehensive datasets. To make this useful for patients, we will be seeking to understand the effects of interventions such as lifestyle changes or medications on our risk predictions and we will be generating new hypotheses and theories to test. Burst photography is the key idea underlying the HDR+ software on Google's recent smartphones, and a fundamental computational photography technique for improving image quality. Every photo taken with HDR+ is actually a composite, generated by capturing and merging a short burst of full-resolution photos. HDR+ has helped the Pixel and the Pixel 2 earn DxO's highest mobile camera ranking for two years in a row. The new portrait mode on the Pixel 2 also relies on HDR+, both for its basic image quality and to improve the quality of its depth estimation. Today we're pleased to announce the public release of an archive of image bursts to the research community. This provides a way for others to compare their methods to the results of Google's HDR+ software running on the same input images. This dataset consists of 3,640 bursts of full-resolution raw images, made up of 28,461 individual images, along with HDR+ intermediate and final results for comparison. The images cover a wide range of photographic situations, including variation in subject, level of motion, brightness, and dynamic range. Using bursts to improve image quality. HDR+ starts from a burst of full-resolution raw images (left). Depending on conditions, between 2 and 10 images are aligned and merged into an intermediate raw image (middle). This merged image has reduced noise and increased dynamic range, leading to a higher quality final result (right). Burst photography provides the benefits associated with collecting more light, including reduced noise and improved dynamic range, but it avoids the motion blur that would come from increasing exposure times. This is particularly important for small smartphone cameras, whose size otherwise limits the amount of light they can capture. Since HDR+ was first released on Nexus 5 and 6, we've been busy improving the system. As described in our recent SIGGRAPH Asia paper, HDR+ now starts from raw images, which helps improve image quality. This also means that the image processing pipeline is fully implemented using our software. Next, we eliminated shutter lag, which makes photography feel instantaneous. The HDR+ photo you get corresponds to the moment the button was pressed. Finally, we improved processing times and power consumption, by implementing HDR+ on accelerators like the Qualcomm Hexagon DSP and the new Pixel Visual Core. 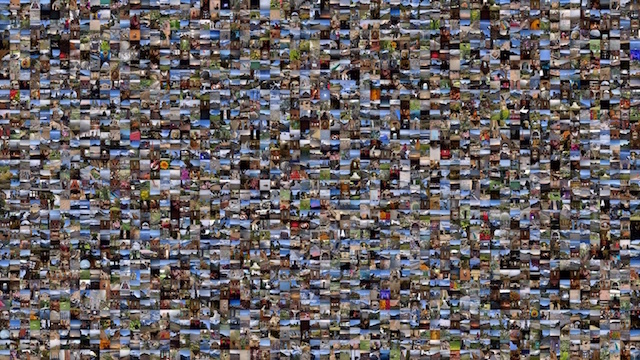 Mosaic of thumbnails illustrating the size and diversity of the HDR+ dataset. Putting a computational photography system like HDR+ into production, where users capture millions of photos per day, means that odd photographic corner cases must be handled in a robust way. The scale and diversity of the HDR+ dataset also opens up the opportunity to apply modern machine learning methods. 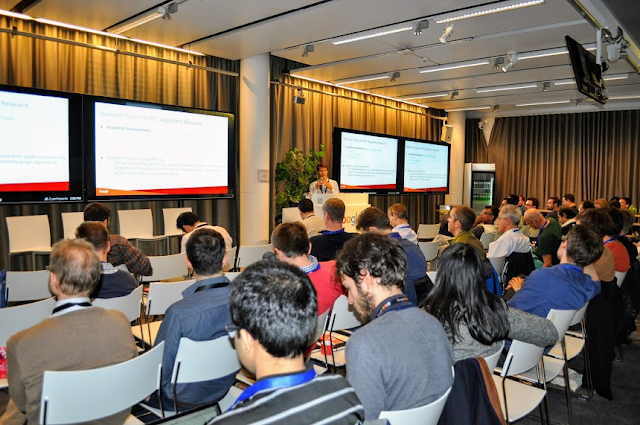 Our dataset has already been incorporated in a recent research paper which uses a neural network to approximate part of the HDR+ pipeline, constrained to a representation suitable for fast image processing. Several more papers that apply learning to the HDR+ dataset are currently under review. Inspired by the Middlebury archive of stereo data, our hope is that a shared dataset will enable the community to concentrate on comparing results. This approach is intrinsically more efficient than expecting researchers to configure and run competing techniques themselves, or to implement them from scratch if the code is proprietary. The HDR+ dataset is released under a Creative Commons license (CC-BY-SA). This license is largely unencumbered, however our main intention is that the dataset be used for scientific purposes. For information about how to cite the dataset, please see the detailed description. We look forward to seeing what else researchers can do with the HDR+ dataset! Special thanks to the photographers and subjects of the HDR+ dataset. The core idea behind instant motion tracking is to decouple the camera’s translation and rotation estimation, treating them instead as independent optimization problems. First, we determine the 3D camera translation solely from the visual signal of the camera. 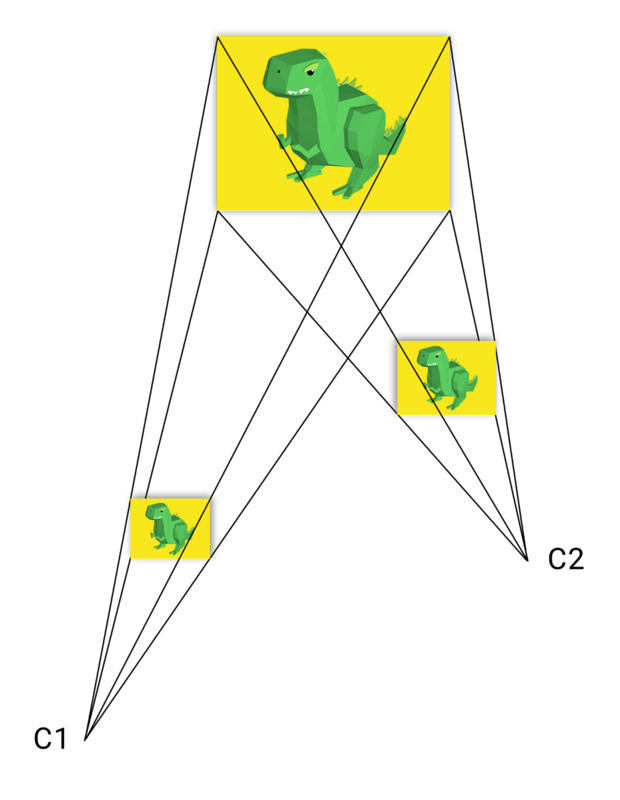 To do this, we observe the target region's apparent 2D translation and relative scale across frames. 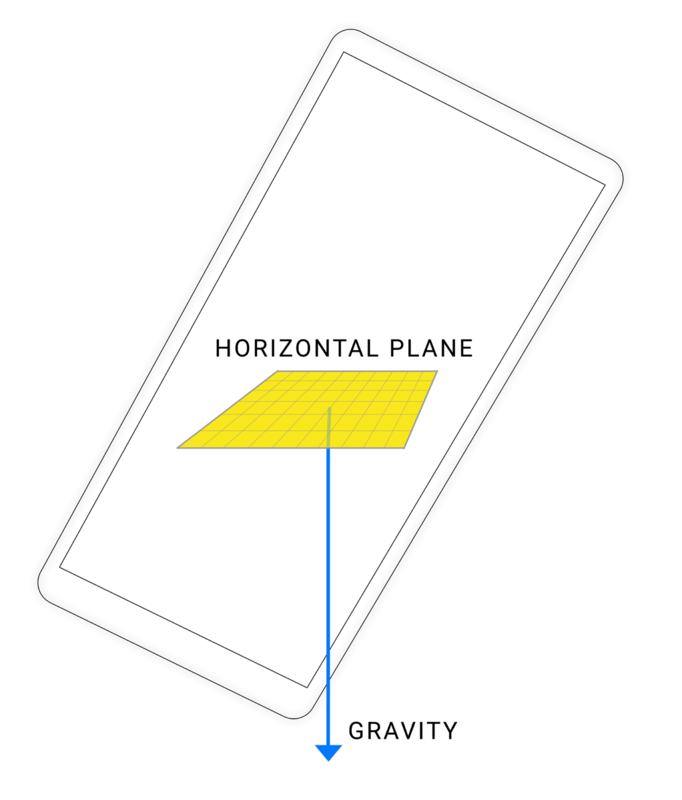 A simple pinhole camera model relates both translation and scale of a box in the image plane with the final 3D translation of the camera.